I know I don't talk much about my personal life on here - that's what my other blog Modern Colors is for - but I'm just so darn proud of this impulsive project. 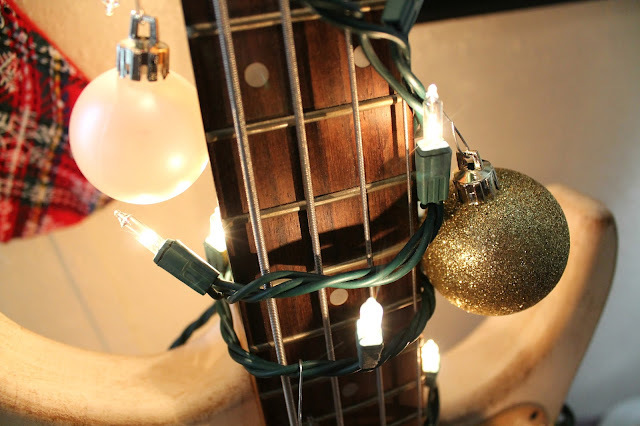 A little back story: I had to sell my bass amp for rent money a few months ago when we hit a really rough patch... so now I've got no way to truly play my bass (not that I even have the time anyway with two kiddos under 3 years of age) and my husband has been working very long hours so he keeps forgetting to get our Christmas tree out of storage. 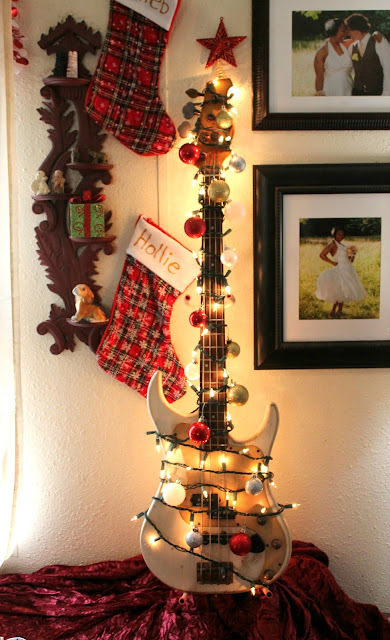 Christmas trees are the last thing on his mind when he comes home and I don't blame him. I really wanted to create something wonderfully Christmas-y for my kiddos and I like to think of myself as a pretty resourceful person and I think I've verified that claim today. 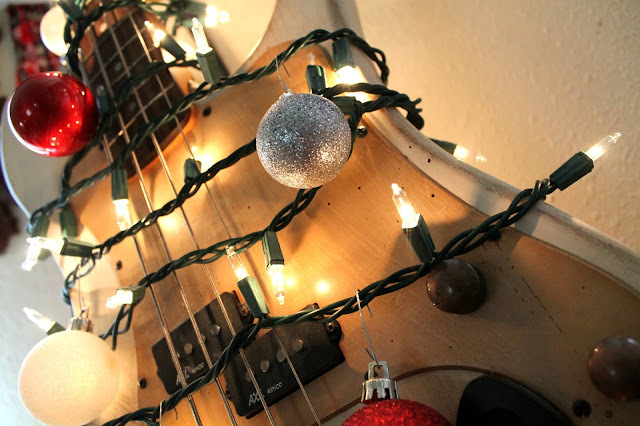 Behold - our quirky Bassmas Tree! 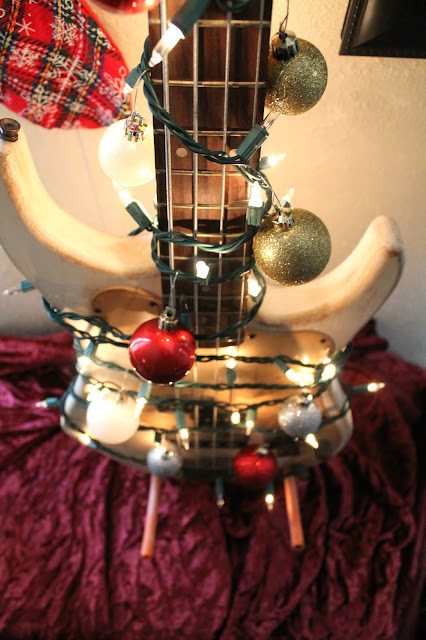 Do you have an alternative Christmas "tree" this year too?